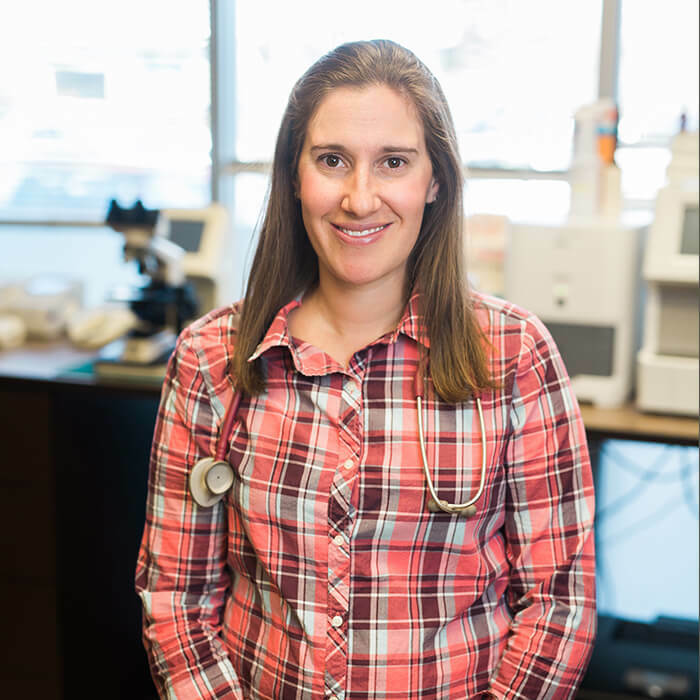 Dr. Brooke Fowler, DVM, MS, DACVIM (Oncology), grew up in Northbrook, a suburb of Chicago. She completed her undergraduate education at the University of Michigan in Ann Arbor, graduating with a Bachelor of Arts degree in English. She earned her Doctor of Veterinary Medicine degree at the University of Illinois in Champaign, Illinois. Dr. Fowler then completed a rotating internship at a private practice in Chicago, as well as an oncology internship and three-year residency at the University of Missouri. During her residency, she obtained a master’s degree with a special focus on the immune system as it relates to cancer. Dr. Fowler has a daughter and two dogs: a Newfoundland named Lulu and a Golden Retriever named Oscar. She enjoys skiing, hiking, and other outdoor activities. She also loves to travel and is a serious foodie.